Managing attorney Michael Loewen started his career working for the big insurance companies. First an adjuster, and later a defense attorney, Mr. Loewen learned the ins and outs of the defense industry. It wasn’t long before Mr. Loewen came to the realization that insurance companies have one primary goal: to spend as little money as possible. Unfortunately, this often comes at the expense of the injured people that the insurance companies were supposed to be protecting. Mr. Loewen now represents injured people, and he fights for their rights against those same insurance companies that he used to work for. Mr. Loewen’s passion is helping injured people. Throughout his career as a personal injury lawyer, Mr. Loewen has recovered millions of dollars for his clients. 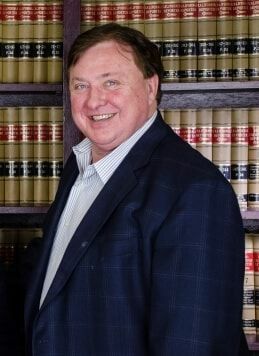 Some lawyers keep copies of their million dollar checks as “trophies.” While Mr. Loewen certainly has enough million or even multi-million dollar verdicts to create an impressive trophy hall of his own, instead, on Mr. Loewen’s office wall you will find pictures of the children that he has helped, and the families that he has represented. Mr. Ali Gexiafong Moua was born and raised in San Diego, CA . He is an offspring of first generation Hmong Americans who immigrated to the United States to escape persecution during the Vietnam War. He is bilingual in English and Hmong and takes special pride in helping victims, including those in the underrepresented Hmong and Asian communities, who have been injured by the negligent acts of others. While attending law school in the evenings, Mr. Moua worked as a full-time law clerk at Dreyer Babich Buccola Wood Campora, LLP for over three years, gaining invaluable experience in personal injury litigation. He was admitted to the State Bar of California in November 2014 and continues to dedicate his legal career to helping others. When not fighting for his client’s legal rights, Mr. Moua volunteers his time to underserved and underprivileged Hmong children in Sacramento, CA through the use of golf. In 2012, Mr. Moua founded a non-profit organization, Hmong California Golf Association, to help develop the physical, mental and emotional well-being of Hmong men, women and children. Schedule your FREE consultation today and learn more about how we can help you! Call us now.